Boosts the hot or cold or blended water supply (after a mixer valve) to an individual shower or tap. Suitable for positive head applications only. 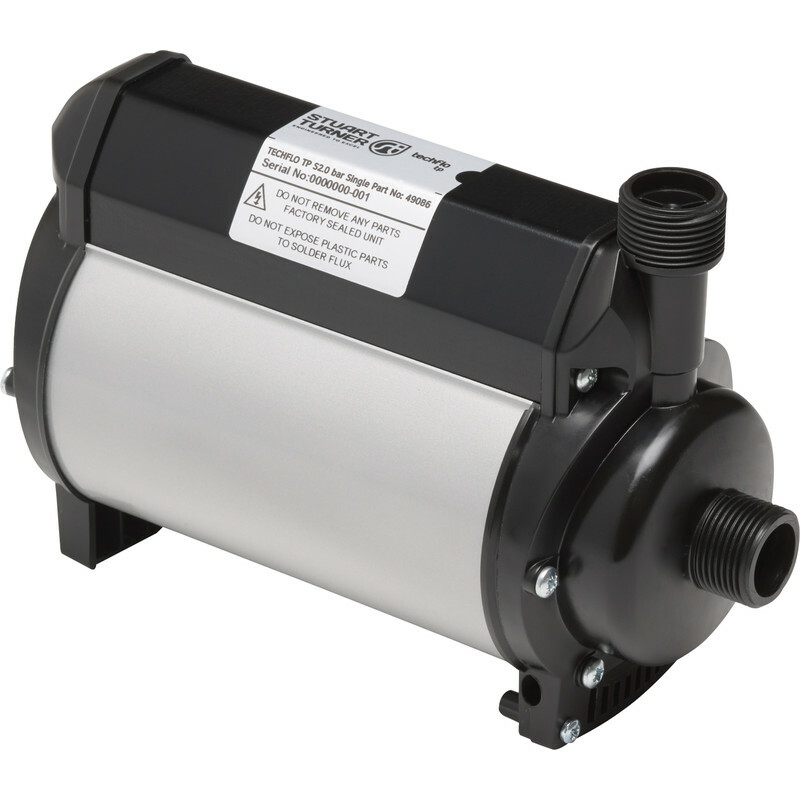 Stuart Turner Showermate TP Single Shower Pump 2.0 Bar is rated 4.9 out of 5 by 8. Rated 5 out of 5 by Davesoton from Quiet and smooth running My last pump kept going for 5yrs but became very noisy as the bearings failed. This is my first Stuart Turner pump and so far it’s been very good. The proof will be in the longevity but so far I’m happy. Rated 5 out of 5 by gram333 from Perfect, plug and play! Installed as a replacement in less than 5 mins! Didn't come with a plug fitted.Push pipe fittings are so simple to use. Works much better than the 10 year old stuart turner pump it replaced ever did! Quieter too! Rated 5 out of 5 by drought resisitant from Great pump Brought it to boost outside water tap sprayer, does a great job. Rated 5 out of 5 by bowdiddly from Excellent Needed a pump to boost the hot water to a shower , simple to fit job done .